I am presently holding the position of Science Research Specialist 2 (Permanent Position) under the Oil Industry Standards and Monitoring Division (OISMD) of the Oil Industry Management Bureau (OIMB). 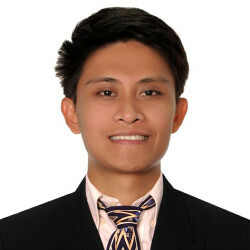 In 2014, I graduated from a 5-year course of Bachelors Degree Major in Mechanical Engineering at University of Nueva Caceres, Naga City, Camarines Sur. I am a licensed Mechanical Engineer with a rating of 78.10%. With related trainings and experienced I also acquired, I am confident that I can do the tasks and responsibilities attach with the job. Further, when character and the willingness to work hard is what would be needed, I can fill the position to your satisfaction as loyalty, diligence, and responsibleness are the very virtues I also believe in.